However this is where my issue begins. 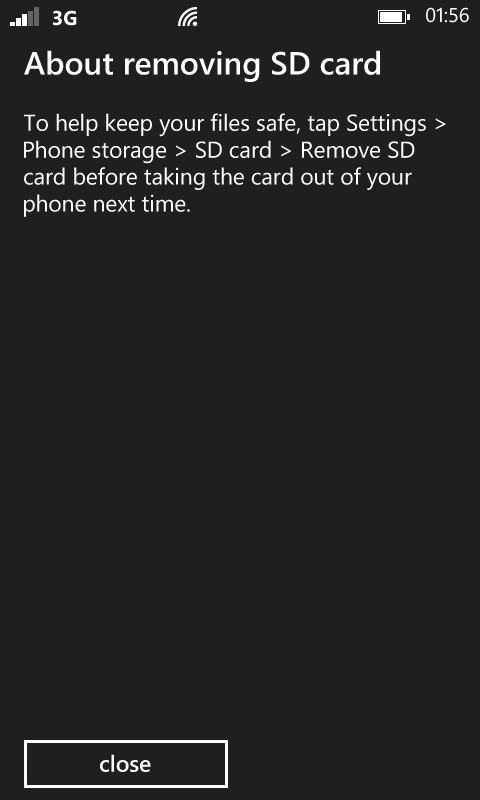 And then sometimes it either stays as not recognising the Micro SD or it realises theres one in. We've tried sticking some tissue in the slot to try keep the door tightly shut and its worked to some regard but it still freaks out and gives me that message. Has anyone had this problem before? or is it a dud phone? How did you remedy it? 64gb and 32gb compatible micro card with Lumia 810 do you have?